In Colorado, where home grows are legal, revenue from retail sales have increased each of the three years it's been available, hitting $1.3 billion in 2016. Washington state is feeling a little left out. One of the first states in the country to legalize recreational marijuana, it's now the only state among that group that doesn't allow residents to grow the plant for personal use, according to the Washington State Liquor and Cannabis Board. While the state regulatory board lays out two paths to legal home growing, the Washington chapter of the National Organization for the Reform of Marijuana Laws is pushing a third option — one that's less intrusive on individual rights, says Kevin Oliver, executive director of the pro-marijuana organization's Washington state affiliate. One significant consideration in each of the proposed home-grow parameters is whether to establish a statewide regulatory framework, or hand over control to local jurisdictions. Elected officials in Spokane raise questions such as how to enforce home growing rules, how to ensure that home-grown weed is as safe as the stuff grown on licensed farms, and how household grows will impact the retail market. "We just started the harvest, and every plant goes through a process and ultimately is tested, so we know it's safe," says Spokane City Councilwoman Karen Stratton, who owns a pot farm with her husband. "There's no harmful mold or anything, and that's a really big piece for us as growers — that it's a safe product." The first option suggested by the WSLCB is a statewide regulatory system. 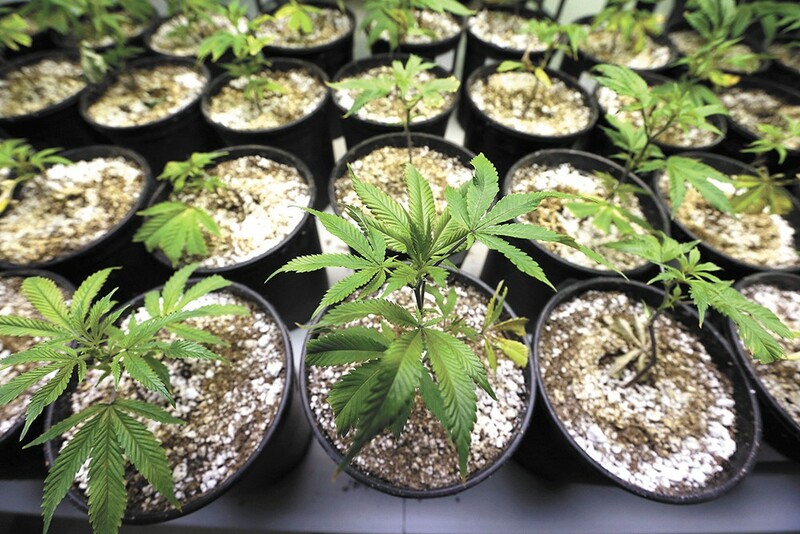 Home growers would get a permit to grow up to four plants per household, and each plant would be tracked by the state. Enforcement responsibilities would be shared between the WSLCB and local police. If you're caught growing more than legally allowed, police could destroy all the plants. The second option is for a set of statewide standards, but gives local jurisdictions the option to allow home growing. Growers would still get a permit, and could not grow more than four plants, but would not be required to submit each plant for tracking. The Washington state chapter of NORML suggested its own option that includes statewide standards with local control and a 15-plant limit per household. The NORML option lessens the level of intrusion and oversight that law enforcement can have on individual homes, compared to commercial growers. "I'm a Tier 3 producer/processor," Oliver says. "I've got 1,000 plants in the ground right now, but the idea that I need to go through the same requirements, and open my home to the same level of search by law enforcement and the Liquor and Cannabis Board for a home operation, is totally unprecedented. None of the other states that have home grow have any regulations, except for law enforcement to make sure they're not growing copious amounts." Another option, the WSLCB suggests, is for lawmakers to make no changes and keep marijuana home grows illegal. City Councilman Mike Fagan is conflicted. An outspoken opponent of recreational marijuana, Fagan says he generally does not support a home growing system. He raises concerns about the impact on the retail market, and whether home growing regulations will be tight enough to keep pot away from kids. On the other hand, he adds, "My property rights side says, 'It's my house and I can do what I want. That's my business.'" Councilwoman Stratton doesn't believe that allowing people to grow relatively small amounts of weed at home will have much of an impact on the retail market. She does, however, worry about the potential use of harmful pesticides and the cost of enforcement. "Is this something that falls to the Spokane police?" she asks. "I think it brings up more questions as far as the enforcement, and what it's going to cost a municipality to keep track of those local home grows." Currently, police in Spokane don't pay much attention to small-scale illegal home grows. "We gauge the necessity for enforcement on the size of the problem," SPD Captain Brad Arleth says. "We don't do much in the way of house-level grows now. It has to be something that creates enough of a problem for us where it requires a law enforcement investment — other criminal issues surrounding the grow, like selling or violence." A bill introduced in the state legislature would have allowed residents to grow up to 12 marijuana plants and harvest up to 48 ounces of usable bud per household. The bill did not include any requirements that growers obtain a permit or register their plants with the state for tracking. It did, however, require that the plants remain in the house where they're grown, and that the usable weed "is not removed from the premises in amounts exceeding one ounce." The bill did not make it out of committee during the 2017 session, but can still be considered next year.